your straight lines rock! The straight-ish look is very cool! The sidewalk quilt is really beautiful ;) I was going to say the quilting looks fantastic as is but after reading Adrianne's suggestion I mean we might as well see what one drink adds to the mix, right? 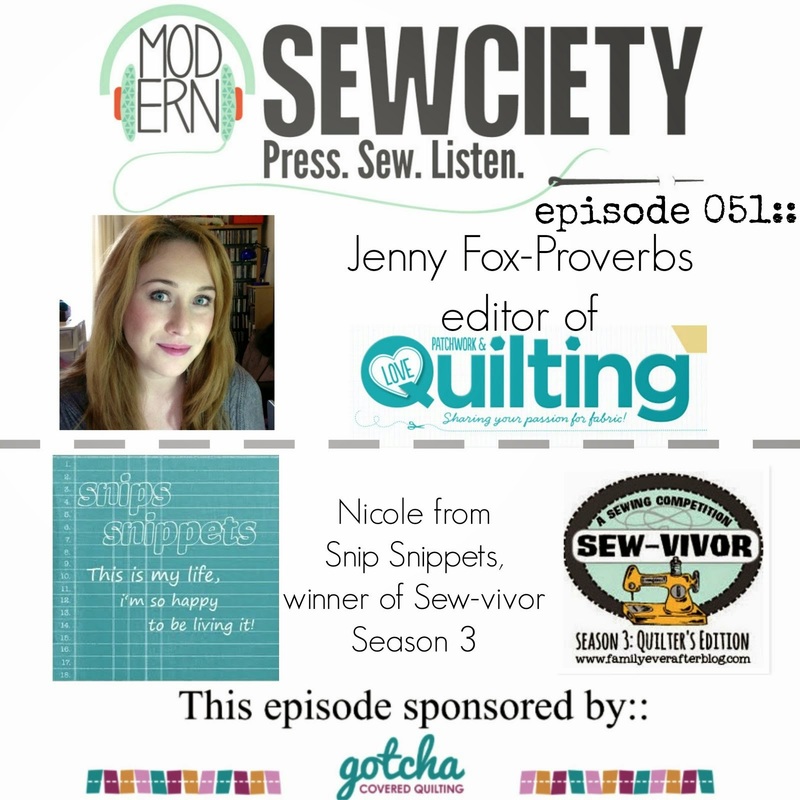 I am all for some straight line quilting! I love what you're done with it! 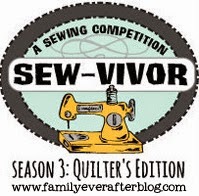 Look forward to seeing your paper pieced project. And must say, I do love the fabric collection there in grey and yellow with Incy Wincy Spider! Seriously cute! Your super tote is going to be awesome! Love the pile of grey fabrics! 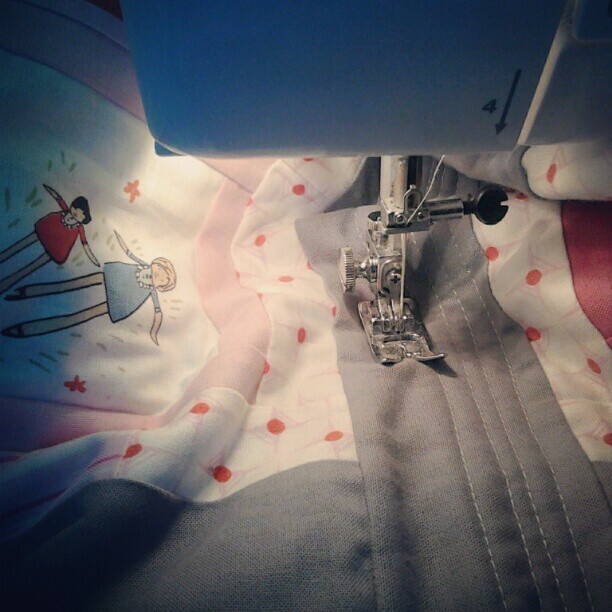 And that pink and grey quilt is turning out so cute! 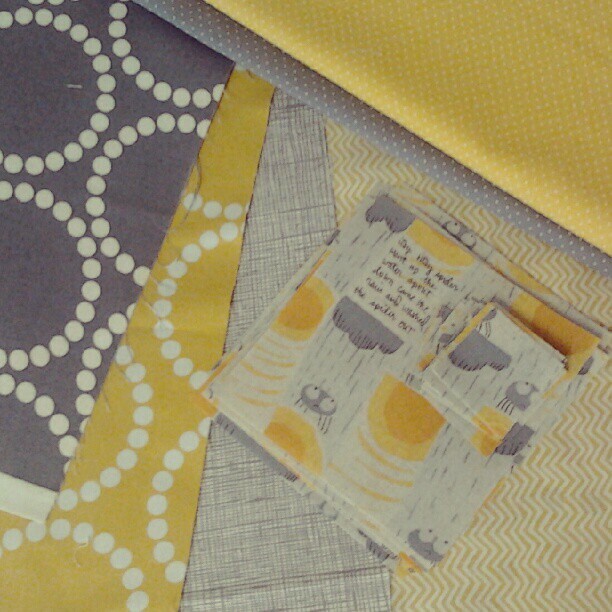 I really want to see how the gray and yellow fabrics turn out! Your straight lines look good. 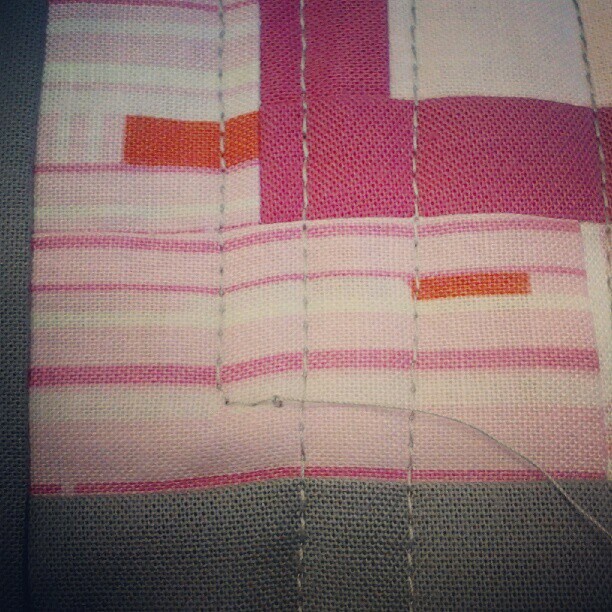 I've been doing a lot of straight line quilting lately myself. Well you may not have been very focused but at least you still did stuff. And cool stuff at that. I had zero focus today too, but unlike my productive little sis I did not achieve a single thing. Wait! I sent 3 emails and carried two big binders from one office to another than back again (note I did not open them or use them even to make myself taller in my chair). High fives to you for maintaining productivity in the face of zero focus! The straight lines look great! 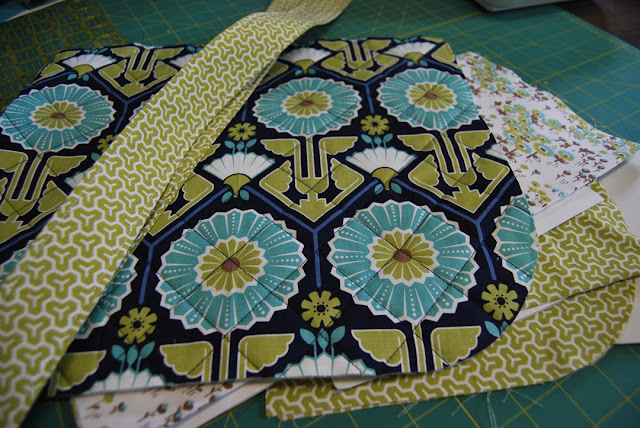 FMQ will come, just cut yourself some slack and tolerate a few uneven stitches at first and you'll get into the rhythm. 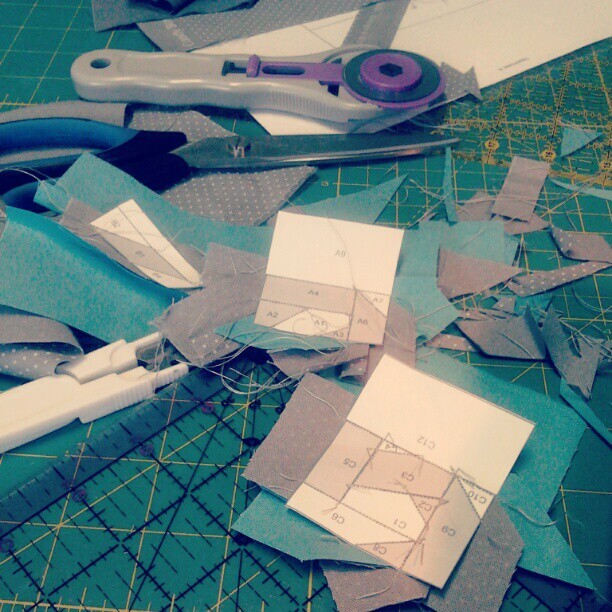 That paper piecing looks great. I've been enjoying that too lately, as you know!